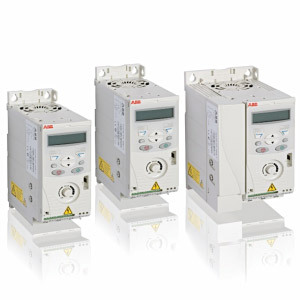 ABB is the global leader in VFD technology and offers the industry’s widest assortment and largest horsepower range. 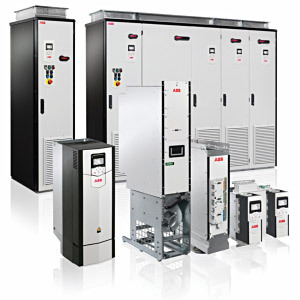 Precision Automation Systems has more expertise with ABB VFD’s than any other company in Idaho. The ACS55 drive is a component that can be integrated easily into existing panels, replacing contactors and motor starters. Its compact size is ideal for new installations or whenever speed control of AC induction motors is needed. For users new to drives, it is programmed using simple DIP switches and rotary dials. 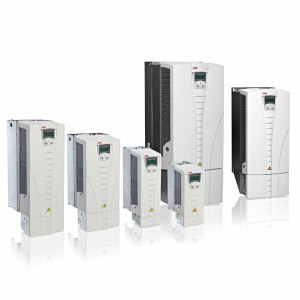 The ACS55 drive meets the requirements of industrial end users, installers, machine builders and panel builders. 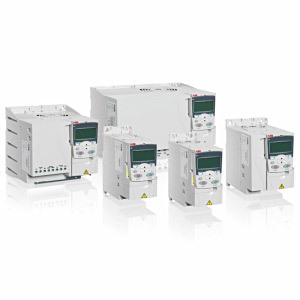 The ACS150 drive is a component that can be incorporated into a wide variety of machines. It includes, as standard, all necessary functions and interfaces for typical applications with AC induction motors. The ACS150 drive meets the requirements of new drive users, installers, machine builders and panel builders. The ACS250 micro drive offers easy to use and compact solutions for general purpose low power applications, such as: mixers, pumps, fans, conveyors, food and beverage. All variants include a built-in Modbus RTU serial communication to provide straightforward integration with control and monitoring systems. The drive’s design and ease of setup benefit a broad range of industries. Available in IP20 and IP66/NEMA4x enclosures. The ACS310 drive is designed for variable torque applications, such as booster pumps and centrifugal fans. The drive contains a powerful set of features including built-in PID controllers and pump and fan control (PFC) that varies the drive’s performance in response to changes in pressure, flow or other external data. The ACS310 drive meets the requirements of new drive users, installers, machine builders, system integrators and panel builders. The ACS550 drive comes with built-in features that make it simple to install, commission, and operate. Ideal for variable and constant torque applications from pumps and fans to conveyors and mixers, as well as many other variable and constant torque applications. Several programming tools are available for easy dimensioning, commissioning, and maintenance making this one of our most versatile drives. The ACS550 drive meets the requirements of industrial end users, installers, machine builders, system integrators and panel builders. 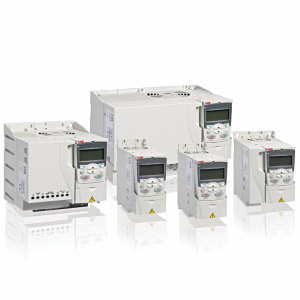 The ACS550 drive is also available in various enclosure options (UL type 1, 12, and 3R) with circuit breaker and fused disconnects. The ACS355 drive is user-friendly, with a wide range of built-in technology such as the safe torque off functionality and sequence programming, which reduce the need for additional control electronics. The product offers options and diverse functionality to cater to the needs set for speed and torque control of AC induction and permanent magnet motors. The ACS355 drive meets the requirements of new drive users, installers, machine builders, system integrators and panel builders. 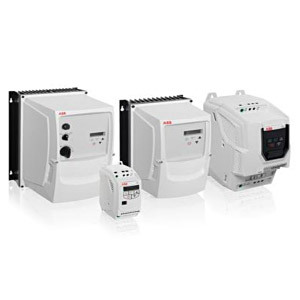 Our industrial drives are available both as complete AC drives and/or as modules to meet your requirements as a user, OEM or system integrator. Single Drive Module configurations contains a rectifier, DC link and an inverter in one single AC drive unit. They can be installed without any additional cabinet or enclosure and are available in wall-mounted, freestanding and cabinet-built constructions. They are specifically designed for industrial applications in process industries such as the pulp & paper, metals, mining, cement, power, chemical, and oil & gas. 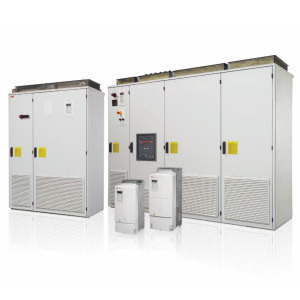 The ACS800 series is available as wall-mount, cabinet-built, regenerative, low harmonic, air-cooled and liquid-cooled constructions. The all-compatible ACS880 industrial drives are designed to tackle any of your motor-driven applications, in any industries, whatever the power range. 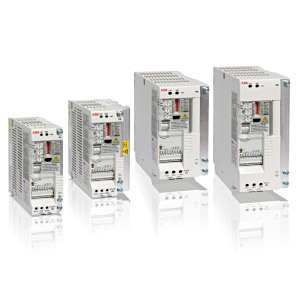 Compatible with virtually all of your processes, automation systems, users and business requirements, the innovation behind the ACS880 drives is our drives architecture that simplifies operation, optimizes energy efficiency and helps maximize process output. The ACS880 series consists of single drives, multi-drives and drive modules.